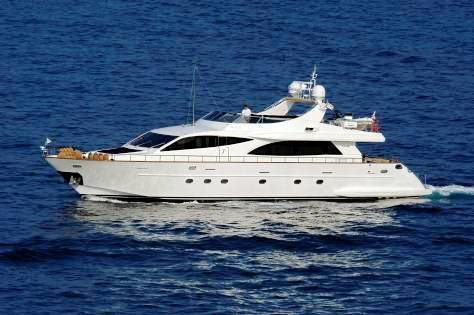 MOSAIC features a comfortable and bright interior, with plenty of natural light streaming through her large windows. 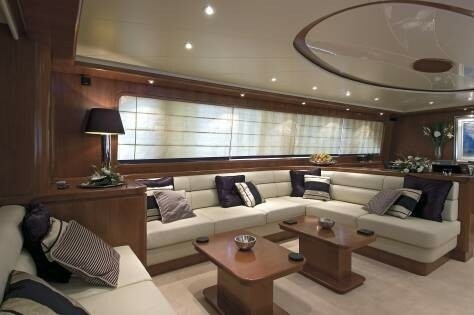 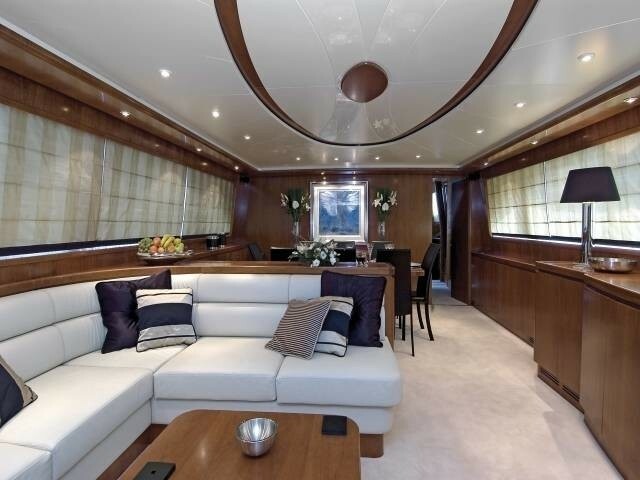 The main salon features a comfortable L shaped couch, perfect for relaxing, watching the view or the large flat screen TV which pops up from the cabinet on the starboard side. 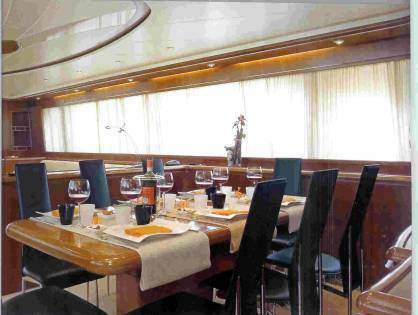 The formal dining area is forward of the salon and can seat up to 8 guests. 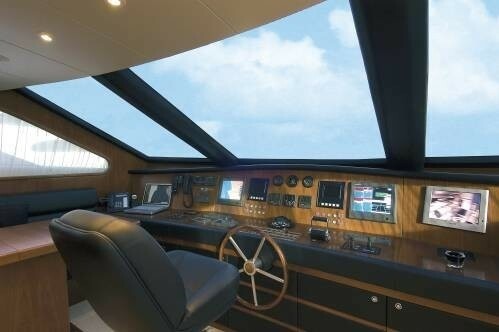 Further forward on the main deck is the Galley and the wheelhouse. 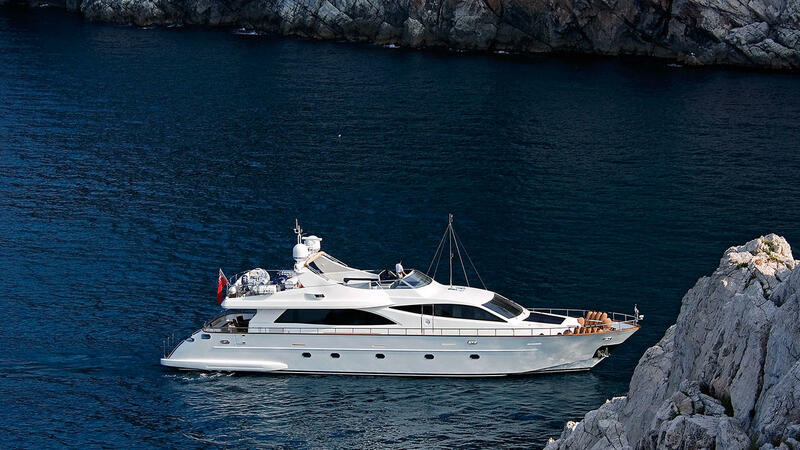 MOSAIC has a spacious aft deck, swim platform and a fully equipped Flybridge making outdoor life comfortable and relaxing. 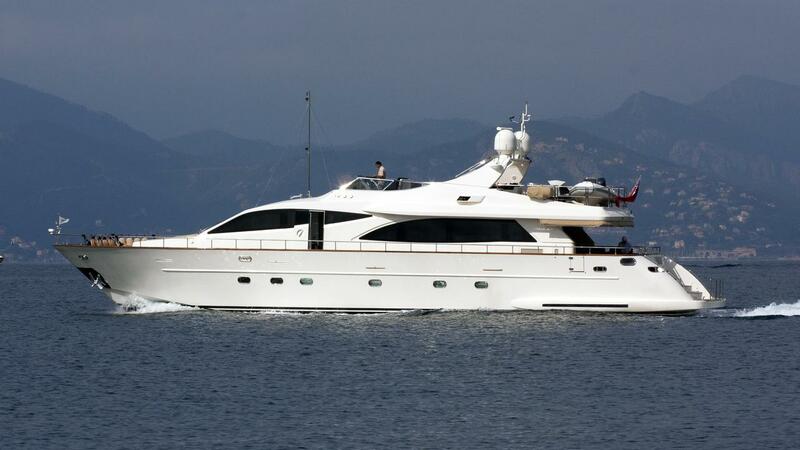 Her streamline emphasizes the excellent performance of the Falcon 90’, powered with two MTU engines of 1830 hp each enabling a maximum speed of 28 knots and a cruising speed of 24 knots. 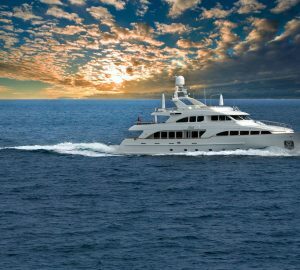 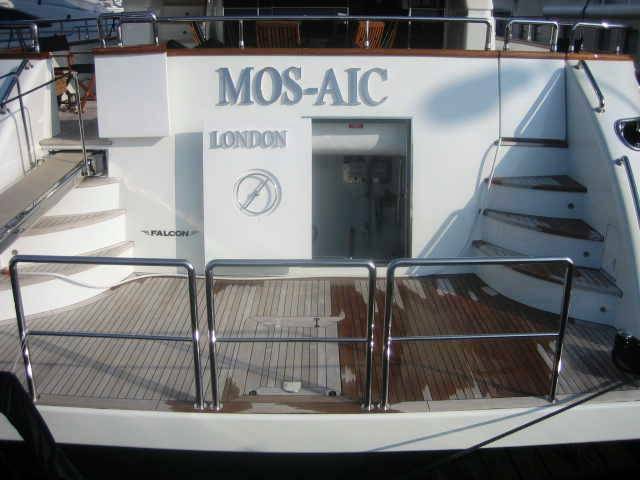 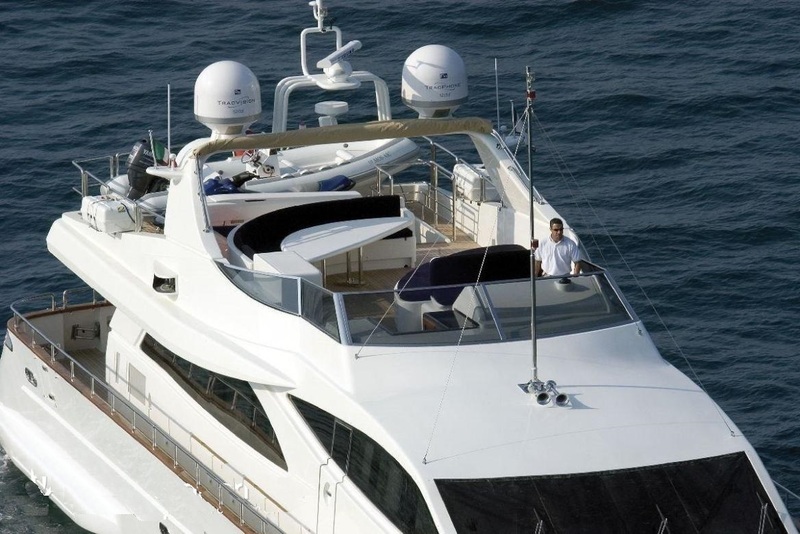 MOSAIC can accommodate up to 8 guests in 4 staterooms. 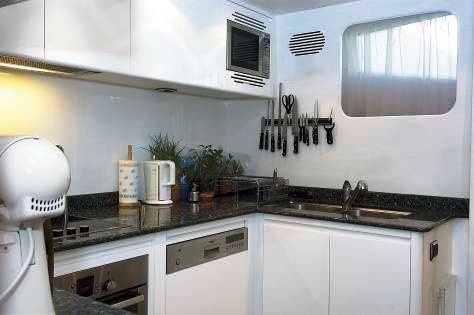 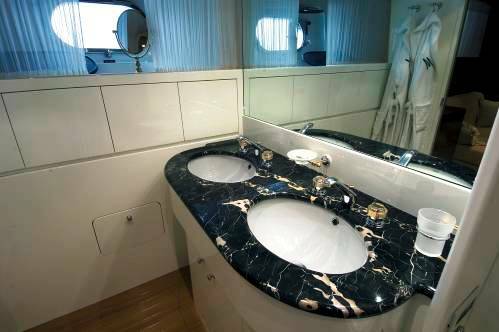 There is a Master cabin, a VIP cabin and 2 twin cabins, each with ensuite facilities. 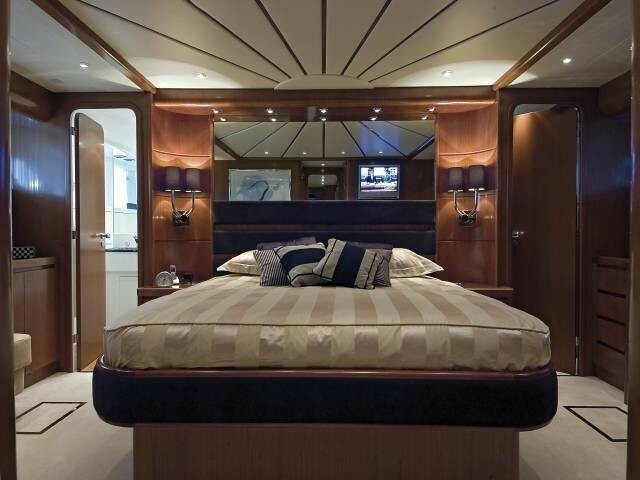 The Master and VIP cabin are both full beam of the yacht. 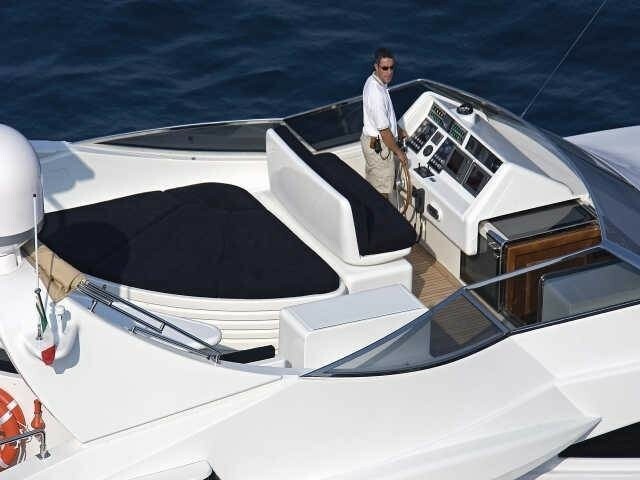 Tenders & Toys include: a Novamarine 4,20m tender with 40hp, Seadoo 3 seater, Water ski, Doughnuts. 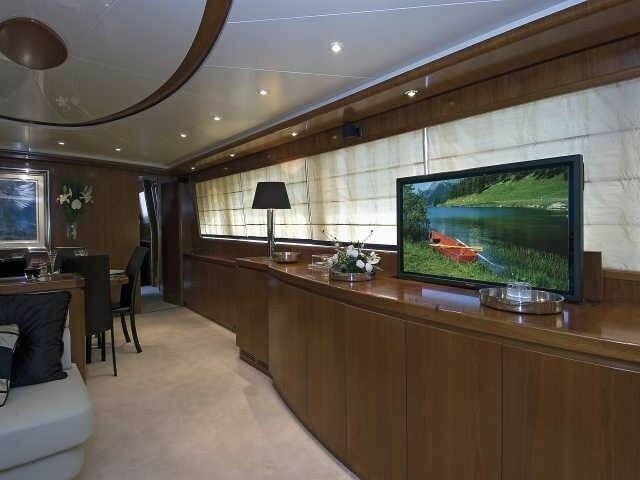 Audio Visual Equipment and Deck Facilities include TV with DVD multizone in Salon and Guest cabins, CD Radio player in each guest cabin.